What started off as a napkin drawing in a restaurant together with our friends from Wingårdhs architects became one of the most unique greening projects. This latest innovation from Green Fortune is called plantstalagmites. 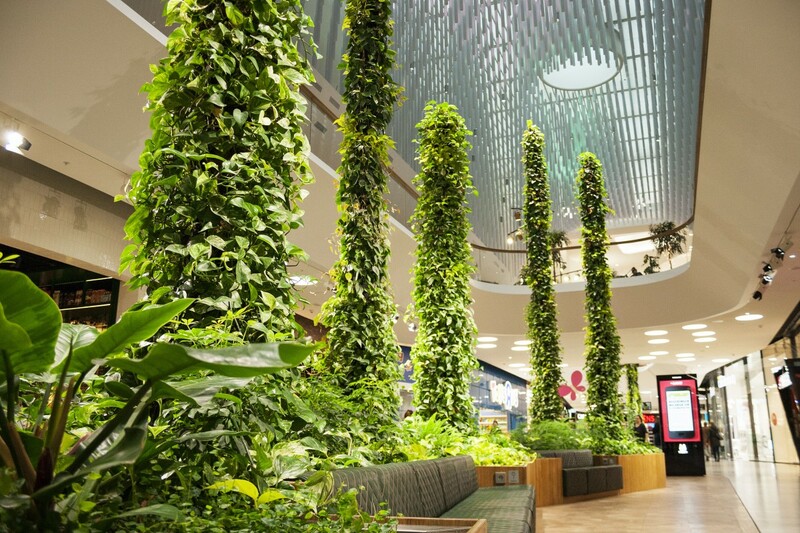 These are vertical standalone plant pillars that feature automatic irrigation. The inspiration for this unique construction comes from climbing plants that are growing on tropical tree trunks. 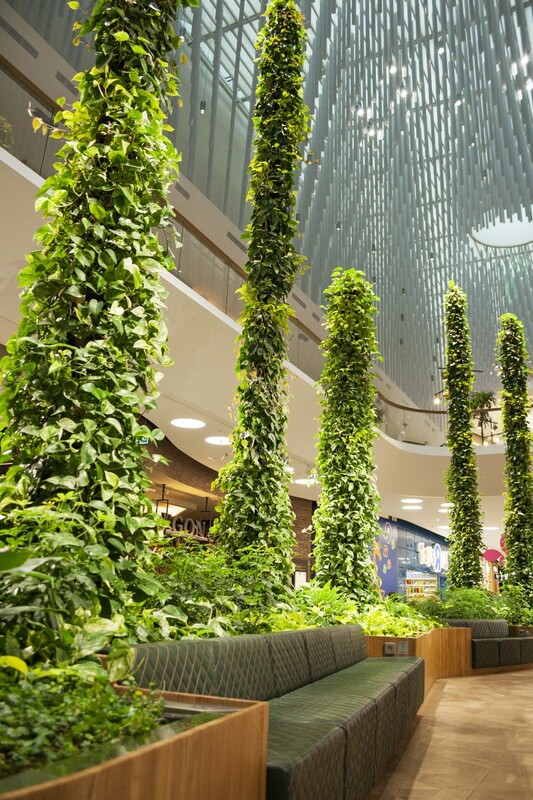 The goal of the project was to create a lush green area for people to rest and re-energize. Due to the height of the space we wanted to have something that can bring a visual connection to other floors while being green throughout, not just at top and bottom. The focus on green also meant that we did not want to create an object but putting the focus on the plants. Just like in the jungle there is a bed of plants where everything originates. 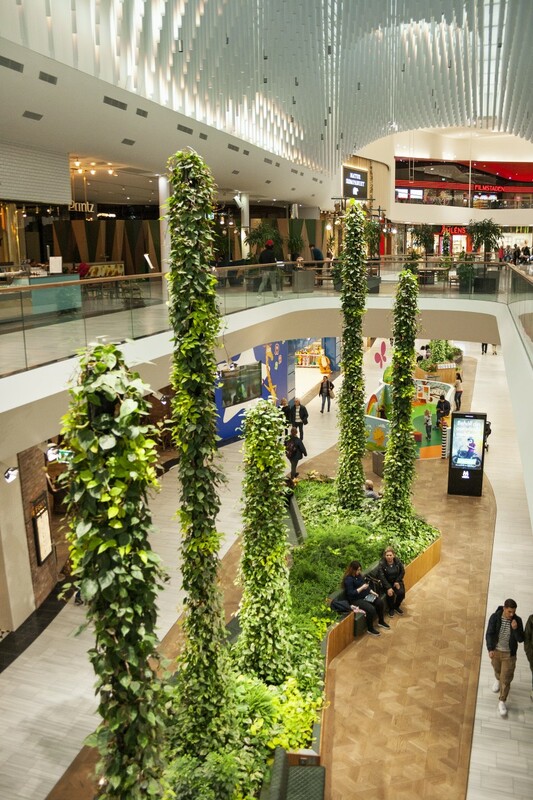 From there 5 vertical structures with up to 8m height are creating a feeling of rich nature inside. One of the key challenges was to combine a stable construction and a rich green feeling from day 1. We achieved this by having a backbone made from steel which is covered by our unique plant textile which allows well-grown plants to be planted throughout the different heights of the pillar. The plant bed underneath at the same time serves as a solution for dripwater from the vertical construction.